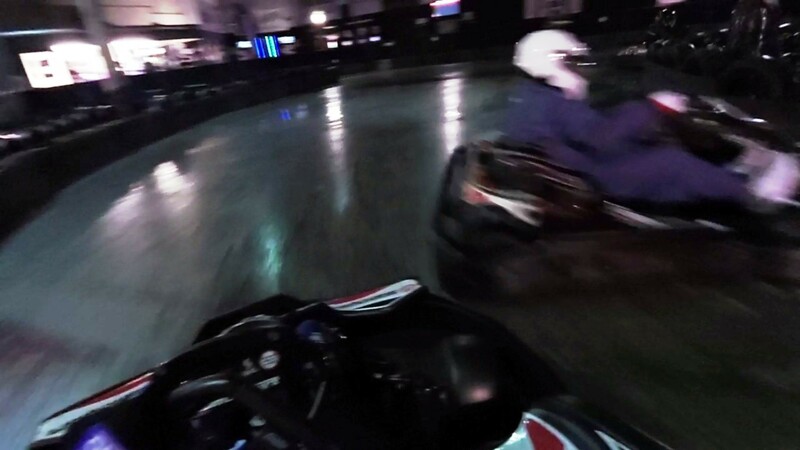 A week after my endurance race, I returned to Eastleigh with my colleague, Nick, for a “fun” session. 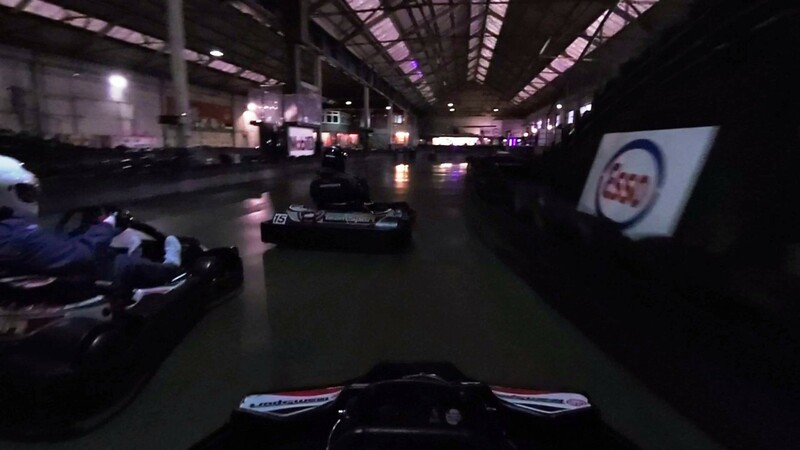 We are both, obviously, competitive with each other, but we have different reasons for karting; Nick enjoys karting socially, whilst I am taking it more seriously, entering in competitions and stepping it up looking for suitable championships in 2016. In our group, we found out that there were two other drivers. This meant that the track wasn’t particularly busy but, unlike the member’s event, there would probably be a considerable difference in lap times, meaning that it was a good opportunity to practice my overtaking on a circuit that doesn’t lend itself to many overtaking opportunities (and after the disaster of the Top Gun event, this was needed). 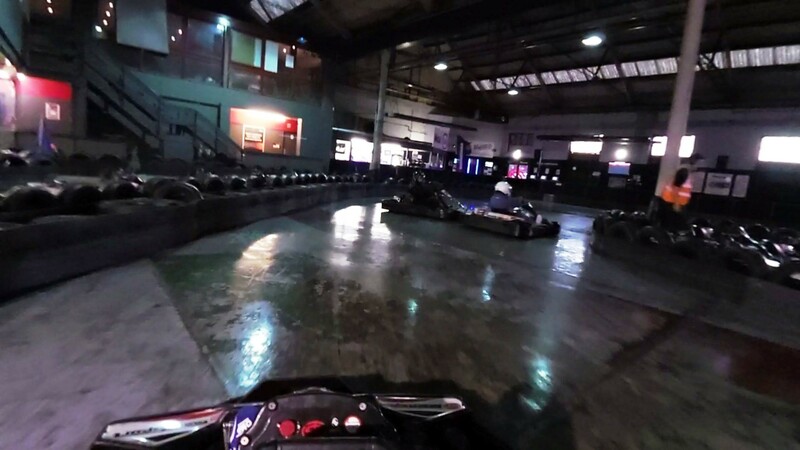 As our group were the first on the track that day, the karts were very cold, so the first session started with a bit of early braking and drifting round the hairpin corners, before powering on and trying to overtake the other drivers (including Nick!). Nick did a very good job at keeping me behind for the first few laps,but an incident on the other side of the track helped me to overtake him for the first time; the yellow lights flashed on briefly, but my quicker reactions got me a jump on Nick into the large hairpin and, for once, I managed to make it stick (well for one corner anyway). The next few laps consisted of passing a “back marker” and then catching back up to Nick for another attempt at overtaking him. Once I was close enough, I made a daring attempt up the inside of the bridge, but as before, I compromised the next corner and he took the place back. Eventually, I made a pass that stuck and for this I have to thank the other driver that Nick tangled with at the far hairpin; Nick took the inside line at the hairpin and was blocked, both drivers lost momentum, so I went around the outside, meaning that I could slip up the inside at the on-ramp of the bridge. Again, I tried to be patient and not make any rash overtaking manoeuvres when making any attempt on the other driver. Once I had disposed of this driver (another overtake on the inside over the bridge), I at last had some clear air to try to put some consistent lap times in. The only other incident of note, was a big collision between Nick and the other male driver. I didn’t see it as it happened, but did come across the aftermath of it (I’ve now since seen it from Nick’s perspective on his footage, and it’s a nasty one!). I managed to set a lap time of 26.441s on my final lap of this session. More importantly, I managed to stay away from any big crashes and came through the session unscathed! Unfortunately, I didn’t manage to capture the first few laps of the second session due to a technical difficulty with my helmet camera (I forgot to switch it on), but all of the interesting footage was still there. You could really split this session up into three parts; in the first half of the session, I had clear air and was catching up to Nick, the next two minutes consisted of me following Nick, with both of us closing on the female driver and after a small collision at the bottom of the bridge and a couple of swaps of positions between myself and Nick, it ended as it began, with myself trailing Nick for the last five minutes. I managed to just dip under the 26s barrier, with a 25.935s lap about halfway through the session. This we thought was the end of the evening, but we were about to be made an offer we couldn’t refuse. After the second session, we were offered a third at a discount price because the track wasn’t busy at all. 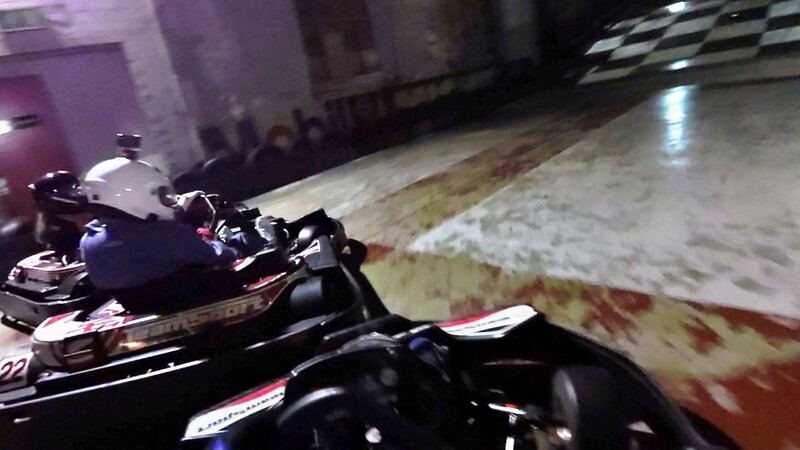 At first, just myself and Nick decided that we would do it and the other pair said that they couldn’t, but when we got out to the front desk to pay, the other pair decided to go for the third session as well, meaning that it consisted of exactly the same four drivers. Nick had a big moment early on at the large hairpin, which I did all I could to avoid a big impact with him and his kart. It could have been very dangerous, but I managed to slip around the outside without touching him at all! The other drivers had obviously gained confidence from the first two sessions and they weren’t afraid to mix it up in the third. One notable incident in the third session, occurred on the straight under the bridge, where one of the other drivers appeared to turn hard into me in an attempt to block me off. My experience paid off here, as I just backed off a little whilst maintaining my line, sending him into a spin and into the tyres, whilst I just carried on past. 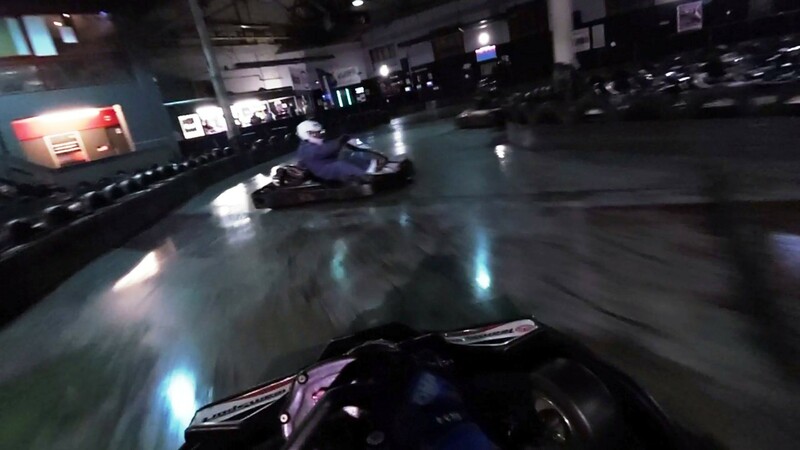 Despite this incident, I was determined to keep it as clean as possible on the track; I bailed out of several moves when it was 50:50 whether I would make the move stick without contact. Maybe I was a little bit rougher with Nick, but I know that he always gives as good as he gets! Finishing (literally) with a 25.918s lap, put me to the top of the leaderboard again and concluded the evening’s entertainment. All in all, it was good fun and, at a time where the karts weren’t performing at their best, a sub-26 second lap and to be fastest in every session isn’t terrible. 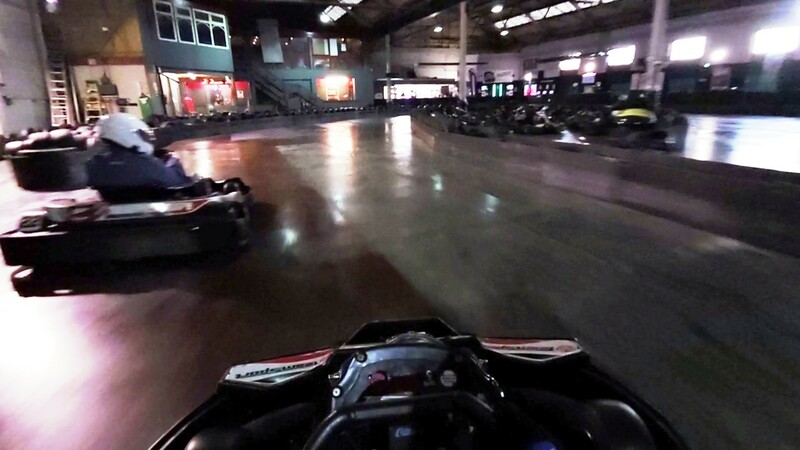 I have lots more karting to come in the next few weeks… Check out the new “Upcoming Events” calendar on this blog to see when and where I’ll be karting in the future!